The result is a ‘Made for Travel’ capsule range with a minimal footprint—slow fashion for thoughtful travellers. 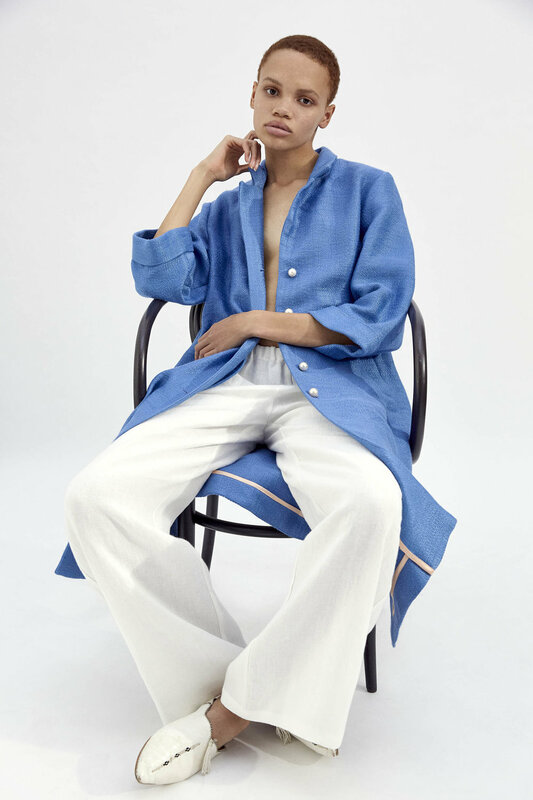 Think super-feminine one shoulder tops and airy, floor-skimming skirts the colour of clay earthenware, crisp jackets come beach throw-overs with sleeves that puff at the elbow, slouchy white trousers and prints covered in climbing flowers. Voluminous dresses in pared-back shades are popped with grosgrain ribbon belts.